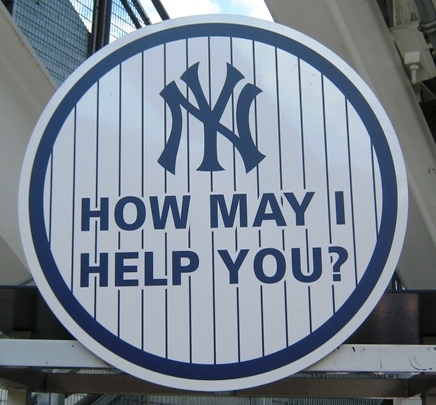 The short answer to whether you can bring food into Yankee Stadium is yes, you can. The Yankees allow a 16*16*8 soft-sided bag with just about anything you want, save for alcoholic beverages and anything that can be used as a projectile. Slice your apples. The people in the Legends seats pay four digits to eat like this. Bring Food Into Yankee Stadium, Tip #1: The Bullpen Deli. The Bullpen Deli has a terrific selection of food stuffs for your sandwich or wrap, and some of the sandwiches have Yankee-themed names like the Steinbrenner Blast or the Yankee Fajita. The sandwiches/wraps are very affordable, and if you want you can order a container of pepper steak or something like that. Good salads by most accounts too, and good portions all. Boar’s Head meats, just like in the Stadium, but for much less. The Bullpen is the home of the Twin Donut shop, so you can add donuts to your bag. The donuts aren’t anything super special (Online folks say the Crown Diner is better for sweets), but if Dunkin or Krispy is good enough for you, these should be just fine. Yes, there is sufficient “B” in the Turkey BLT. Bring Food Into Yankee Stadium, Tip #2: The Court Deli. The aptly named Court Deli (it’s near the Bronx Courthouse) was recommended to me by the inimitable Gary Herman, money-saving sports fan extraordinaire. It’s not what you’d call gourmet dining, but you can get a pretty good-sized pastrami sandwich for far less than what you’d pay inside the ballpark. The Court Deli is about a block and a half away from the Stadium…just enough so that it gets a little but not too crowded on game days. You can get your sandwich here without too long a wait before gametime. Breakfast is an unfairly overlooked component of baseball fan sustenance. 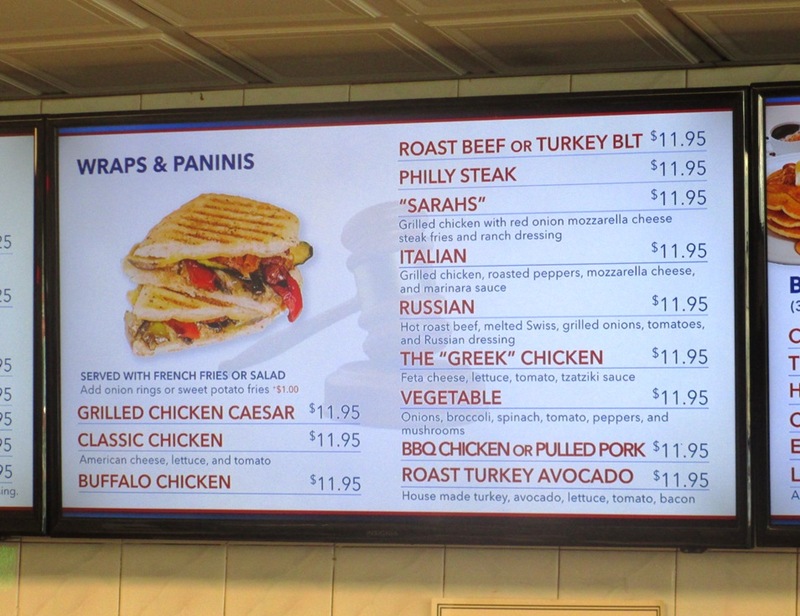 Bring Food Into Yankee Stadium, Tip #3: The New Stadium Gourmet Deli. Catchy name, eh? If you’re going to a day game there are breakfast sandwiches in this place, which are good-sized and built on croissants, bagels or whatever. 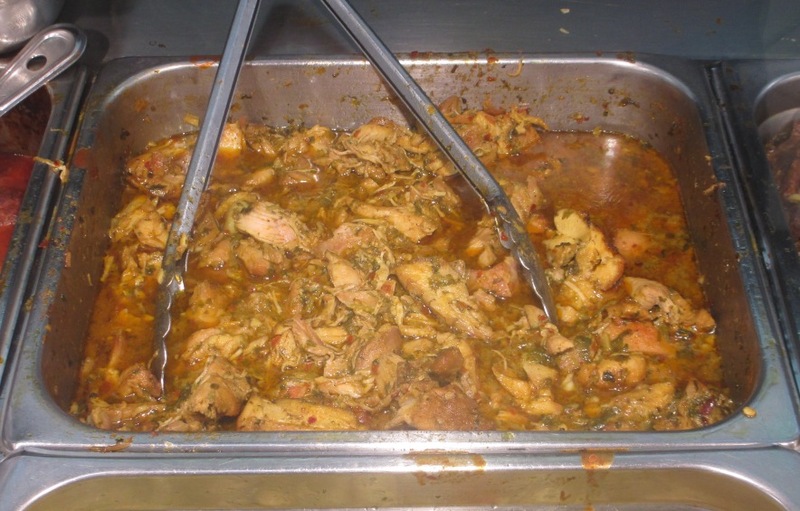 But the lunch sandwiches are no slouch either, with fairly hefty amounts of meat in a submarine or panini roll. Again, all for an affordable price. 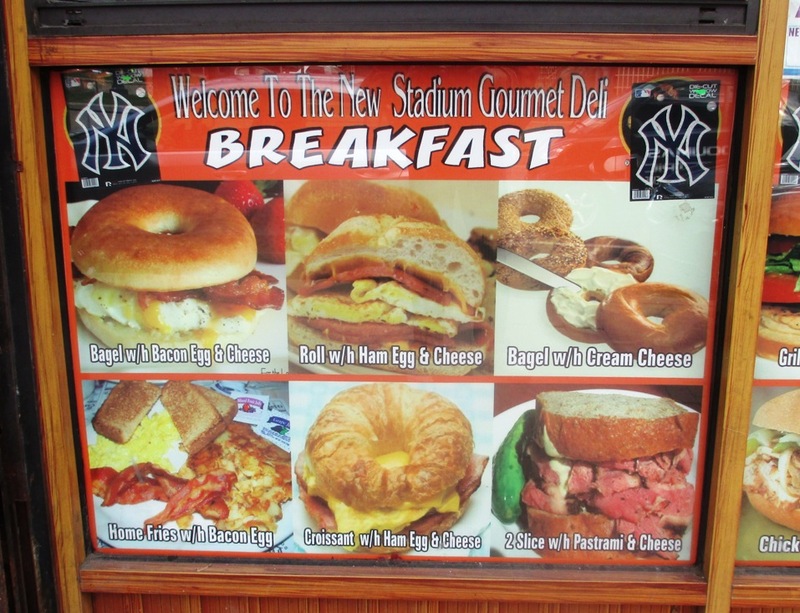 I might prefer the Bullpen or Court Deli for lunch, but if you’ve got a hankering for an authentic NYC bagel breakfast sandwich before a day game, this might be your spot. There are also plenty of hot dog and halal food (!) carts, including a couple of carts selling honey roasted almonds and cashews, as good a ballgame snack as any. By all means get your bottled waters out here at one of these…they’re usually a dollar compared to a finski inside. Get a few, you’ll be thirsty. There’s a few ways for you to eat cheaply at Yankee Stadium, but you can also eat very well inside the ballpark too.